Chennai has been named “Detroit of India” because it is a manufacturing hub of the automobile industry. The government is working to convert it into a smart city. Chennai is also home to other industries like power generation, software services, and banking. Chennai, the capital city of Tamil Nadu has a rich cultural heritage, great historical significance, and beautiful temple architecture. With the growing working population and tourists visiting this city, self-drive car rental in Chennai from Avis is an affordable option and you won't need to own a vehicle. 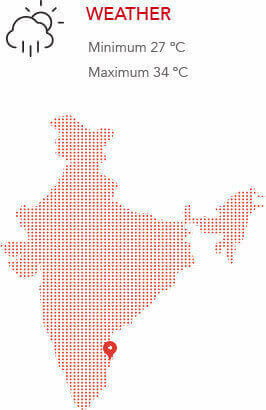 You can check Chennai car rental rates on the Avis website. Also known as Egmore Museum or the Madras Museum it is the second oldest museum in India. The point of origin of the Government Museum is the museum in Madras planned by the Madras Literary Society in 1846. Being the largest museum in South Asia, it holds the historic treasures in the form of archaeological and numismatic collection. It also houses the largest collection of Roman antiquities outside Europe. Quite a lot of the buildings located within the Government Museum have aged up to 100 years. Car hire in Chennai from Avis is the best option for tourists to go exploring every site at your own convenience. Vivekananda house was famously called the “Ice House” and was built in 1877. It has now become an important pilgrimage and shrine for those who follow the teachings of Swami Vivekananda. This house was built in the year 1877. A lot of people believe that Swami Vivekananda spent time living in this house. The Victorian architecture of the house makes it all the more compelling. The bedroom was once believed to be Vivekananda's place to sleep and meditate and it has now become a peaceful spot for others to meditate. You can find Victory War Memorial on the Beach Road near the beginning of Marina Beach. It was built to honor the memory of soldiers who sacrificed their lives during the two world wars. The memorial was constructed as a celebration when the allied powers won the 1st world war. Later after the 2nd world war, it was turned into a War Memorial in the memory of people from Madras presidency who lost their lives fighting. Some know it by the name of Cupids Bow. 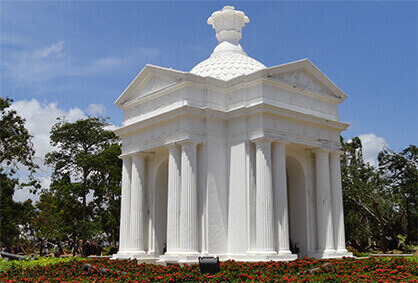 The roads that lead to this memorial are so smooth and easy to understand that you can reach this place easily with an Avis car rental in Chennai even without a driver. Triplicane Big Mosque can be found in the Janbazar region along the Wallajah Road. Constructed in 1795, it is one of the most fascinating mosques in the capital city of Tamil Nadu. It is also called by the name of Wallajah Mosque in the memory of Nawab Wallajah built by his family. To get the feel of luxury when you visit this mosque, you can hire a luxury car rental in Chennai from Avis for your exciting road trips. Pondicherry reflects a huge French colonial impact in its cultural heritage. If peace and a break is is what you are after, then Pondicherry makes for the choicest holiday destination in South India. With its cocktail of modern and traditional heritage along with the spiritual culture, the cosmopolitan offers a unique experience. The beaches here are not very crowded and present stunning views, especially during sunrise and sunset. This city is as adventurous as it is calm, quiet and peaceful. Try out all the water sports possible like swimming, canoeing and kayaking and much more. If you don't want to exhaust yourself due to long driving hours, get a car rental in Chennai with driver from Avis. The temple city of Mahabalipuram (also Mamallapuram) lies 60 km from Chennai on the Bay of Bengal in Tamil Nadu. The city boasts of well connected and maintained network of roads that connect it to Chennai and other important cities of South India. Mahabalipuram has been regarded as a historic city and a UNESCO World Heritage Site. 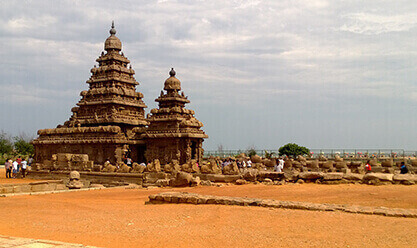 Ancient mariners called Mahabalipuram as the “ Land of the Seven Pagodas”. The coins excavated from this region are a proof of trade ties with the Romans in the past. You can easily get a self-drive car rental in Chennai from Avis and make it your partner in your carefree road trips all around Chennai. 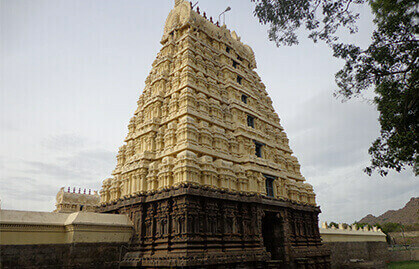 Tirupati is located in the Chittor district of Andhra Pradesh and is situated at a distance of 152 km from Chennai. 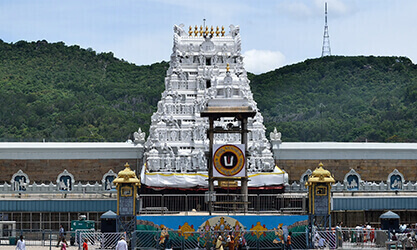 Tirupati is regarded as one of the eight most important places of worship for Hindus. Tirupati houses a 2-metre-high standing idol of Lord Vishnu on a lotus flanked by his partners ‘Bhudevi’ and ‘Sride’. This statue is said to grant any wish made in front of it. A masterpiece of South Indian architecture, Tirupati is believed to shelter a host of other temples as well. Kanchipuram is also the Golden city of a thousand temples in Tamil Nadu and it is widely known for the exquisite Kanchipuram sarees. 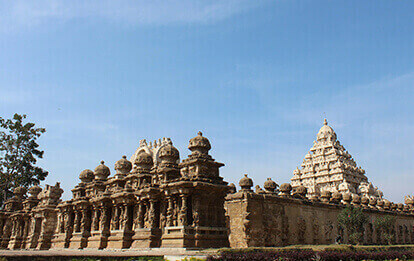 Kanchipuram or Kanchi is a place that welcomes a huge number of tourists from all over the world. They usually come to this city to understand the various aspects of Hinduism or just want to enjoy the spell-binding architecture and grandeur of South India. It is quite a popular hub of culture and philosophy. The famous Golden Temple and the religious center of Sripuram are located around the area of Malaikodi nestled in the small green mountains in Vellorecity. The highly revered Mahalakshmi Temple in Sripuram is coated with pure gold both externally and internally. The renowned temple of Sri Lakshmi also called the Golden Temple has been recently built along with a spiritual park at Thirumalaikodi in Vellore city. To visit this city just the way you want to without time constraints get a car rental in Chennai for outstation from Avis.